A successful camping season depends on a positive, enthusiastic, kind, caring, and supportive counseling staff. Red Pine has a primarily female staff with a few men hired for selected positions. 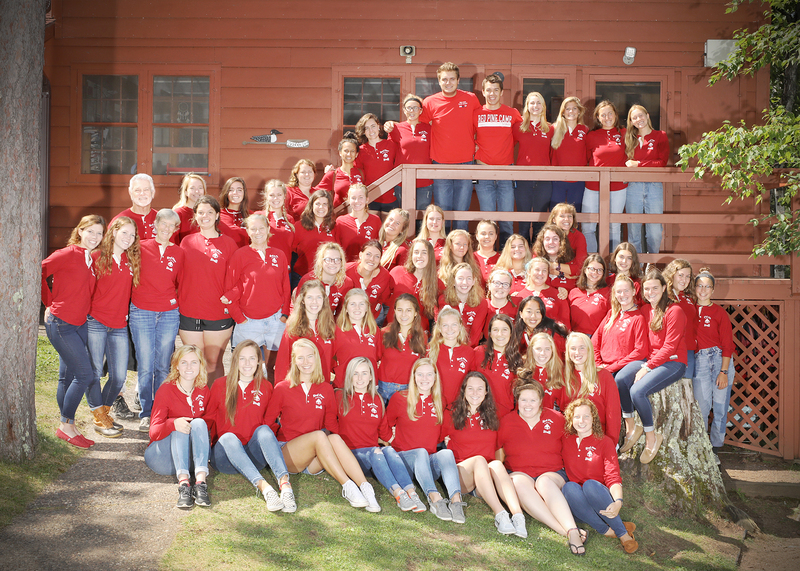 Staff, 19 years and older, have a demonstrated commitment to the well being of children, have skills in one or more of our activity offerings, love the out-of-doors, and can serve as positive role models for our campers. Every staff applicant goes through a thorough application and interview process designed specifically to determine strength of character, skill competency in a particular art or sport, and the ability to work as a cooperative community member. Each staff member signs Red Pine’s Code of Conduct that clearly sets forth a no usage policy regarding drinking, tobacco and drugs. Among other standards, staff also agree to adhere to nighttime curfews, support Red Pine’s traditions and policies, communicate concerns responsibly, and care for children in a loving and professional manner. Please follow the application form link below and submit your application. Minimum age is 19! While the hours at camp are long and work is often hard, we can guarantee that if you put forth your best effort, it is an experience that will enrich your life forever!